August 1969, Belfast. A campaign for civil rights in Northern Ireland that had begun less than two years previously degenerates into inter-communal violence. The three days of 13, 14 and 15 August changed the course of Northern Irish history by radicalizing a whole generation of Catholic youths. On the Protestant side, the Ulster Volunteer Force (UVF) - revived in 1966 but barely mentioned outside Shankill Road - was in full conflict by 1972. How did the events of August 1969 radicalize the emerging youth of both sides of the religious divide? How did they drive an otherwise indifferent generation to carry out some of the most heinous crimes in Irish history and become embroiled in the longest period of Irish 'Troubles' to date? 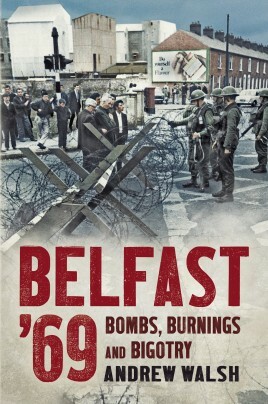 In Belfast '69, Andrew Walsh uncovers the truth by interviewing many from both sides - the young men who joined the numerous 'armies' that sprung up in the wake of that fateful August.